This last week I was consumed with prepping for the Living Games Conference, where I ran one game with my design partner, was on two panels, and gave the closing keynote. So I guess that was pretty creative! 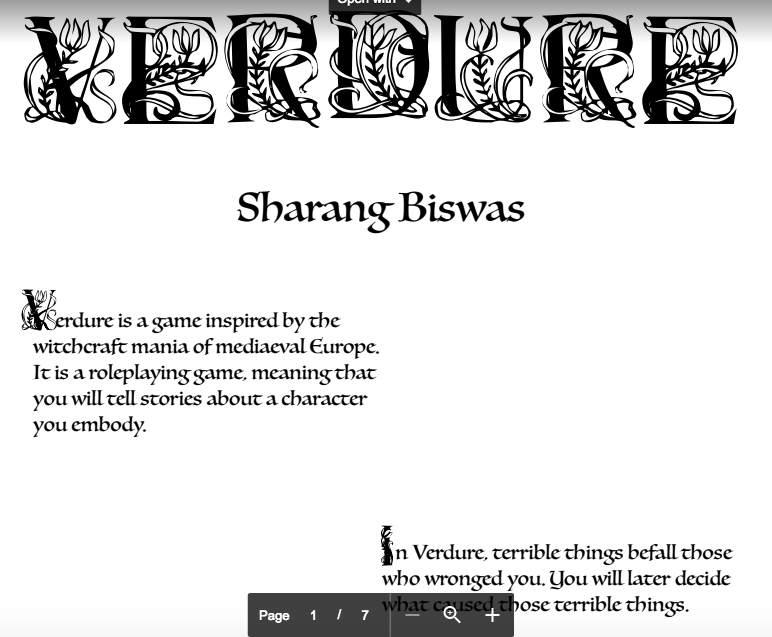 2) Received the first few drafts of Verdure from my graphic designer (Sweta Mohapatra ITP’16), and it looks awesome so far. She’s taking inspiration from actual medieval cookbooks. 4) Managed to write a little more for my Unmasked Adventure. Deadline coming up, ulp!